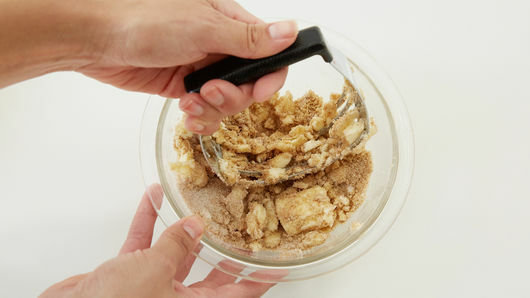 In small bowl, mix brown sugar, granulated sugar and pumpkin pie spice. Cut in butter, using pastry blender or fork, until mixture is crumbly. Set aside. 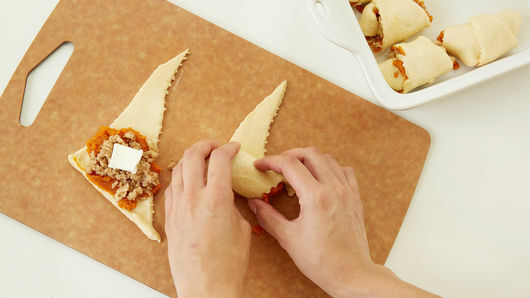 Separate crescent dough into 8 triangles. Spread 1 tablespoon pumpkin on widest side of triangle. Sprinkle with 1 tablespoon sugar mixture. Place cream cheese piece on wide side, and roll to opposite point, tucking in ends. Place in baking dish. Repeat 7 times. Sprinkle remaining sugar mixture over crescents. Pour apple juice over crescents. Bake 27 to 32 minutes or until crescents are golden brown and baked through. Let stand 10 minutes before serving. 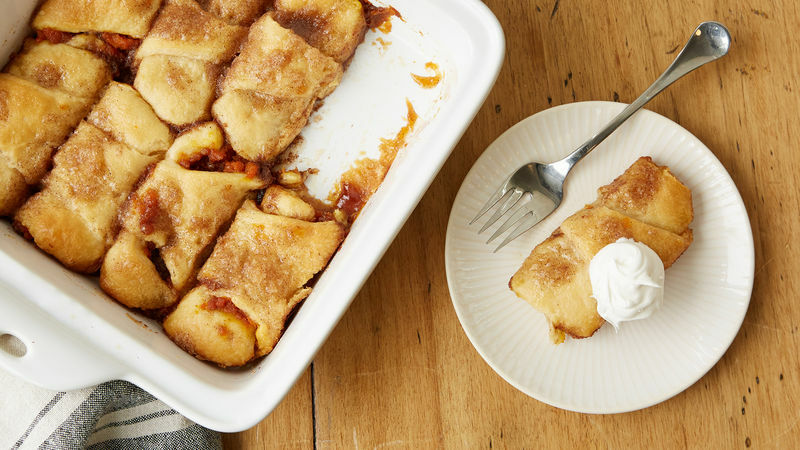 Serve these delicious dumplings with sweetened whipped cream or ice cream. If you don’t have apple juice, you can substitute the same amount of water.